This beautiful Hublot BIG BANG 301.PM.1780.RX luxury watch represents the class and style of every proud owner in a unique way. The Hublot BIG BANG 301.PM.1780.RX luxury watch is an authentic watch of enchanting watchmaking art. The face has Color black, Carbon and the lunette is Ceramik. The movement is 25 jewels, Côtes de Genève pattern, Calibre, Jewels, Mechanical movement self winding. Rattapante is a leader in the online luxury watch market. 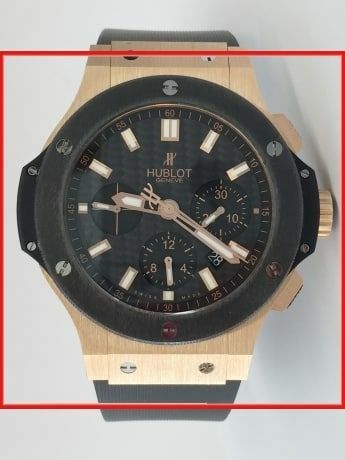 From new, unused to used watches, we offer only the highest quality watches, including the Hublot BIG BANG 301.PM.1780.RX.